This is it, my new Zédolille-windmill! The art of painting is at its end, who can make something better than these propellers? Art is much more weaker than necessity. The alternative to the alternativelessness! Here I inform you about my innovations. The most important are the windmills, therefore they take the most place. Then there are the other inventions like the new sailing ship, the constant velocity joint or the bicycle. In the category "sonstiges" are mentioned some other things besides my inventions. There you will find the "Satire" side. This satire is tendentious against the propellers of course. But satire may everything as you know. 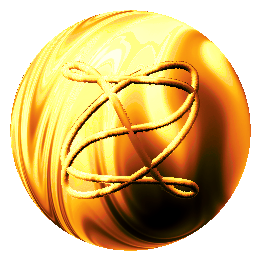 And there is the confutation of Newton under the point "Gravitation". On the stony way to the windmills I also found the Kopelke-figures. To get them all under one hat, I wove the Kopelkiden-definition. You can find it in the category "Mathematik". Because ideas are stolen much faster in the era of the internet than being born, patents are a waste of time and money in the momentary situation of our justice-system, justice and media serve the 1% of people that own 50% of the world, I must hold some inventions covered a bit. Now I need help to bring all this projects to life. The windmills are already invented by the Soltuuli company more than 12 years ago. The authorities know this very well, but they pretend not to hear. Out of the view of the environmental protection this is a sin. At the Parisian conference for the protection of the world climate the people of the rich states shall give the UNO 100 billion dollars for the "protection" of the world climate. Well, until now the Soltuuli company has received not a single dime to save e.g. the bats and not even a promised feature in the newspaper. Something there is not aright. The more windmills are built, the more windmills must be substituted later. At some day a point is reached, where building and replacing are holding the balance. 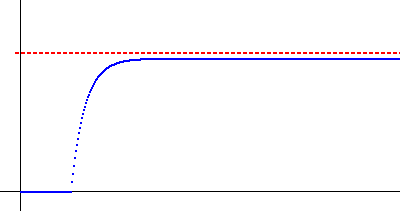 First the growth looks exponential but then the curve snaps and clings towards a limit value. That means, that the demand to build faster and faster more and more windmills will find its natural limit. On an island with sheep wolves are placed. First they propagate very fast, but then there are not enough sheep, so the growth slows down until a balance is reached. And it is the same at the propeller windmills. You can squeeze the limit a bit higher, if you put much effort in it. But nothing more. The energy-source electricity makes 22% at the Germans of the energy production. 7% of that are produced by the wind. That make an energy production of 1,5% out of the wind. There you have to factor in that the energy is available not at the wanted day-time. Every third working place in Germany depends from the car. The windenergy is nowadays as big as the car industry. So it is allowed to say that 20% of the energy of the industry is used for the building of the propellers. The industry dissipates 30% of the whole energy. This gives for the propeller building an energy dissipation of 6%. If you now preconceive, that the iron ore is gained in Australia and the steal is cooked in Brasil or elsewhere and that it must be transported, too and that you must dismantle it 20 years later, then the propeller industry is not even a zero sum play. Construction sand for the huge foundations becomes rare, you can take sea sand, but you must drain out the salt in it first and this needs energy. And for that in Germany trees are lumbered, bats are killed and forests are spoiled. By the environmentalists. A tempo limit on German motorways would have a better effect. 2017 the CO2 emission of the Germans rised of about 1%. The German aim of a reduction from 1990 to 2020 of 40% will not be achieved. They do not make it. The US president is guilty of course. And it makes no sense at all to put in a 3 MW Propeller windmill a 3 MW turbine when the wind has hardly the velocity of 12m/s, and when the wind has 12m/s the surplus of electricity causes serious problems. Except for those who construct the turbines or receive money for the not wanted electricity and their applause-media. The energy within the wind goes with the cube of the velocity of the wind, that means if the wind doubles its speed the energy gets eight times the energy. So a windmill produces only energy when there is strong wind. At low wind, how it is mostly, the propeller turns just for fun and produces only a wake. 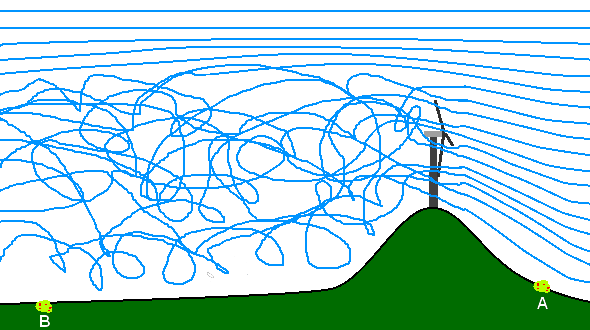 At strong wind there is often a surplus of energy that is dangerous for the electricity net. And as long there are not enough storage capacities it makes no sense to build more windmills. But on this ear the lobbyists are deaf, too. They lie to the people, that electricity out of propellers is such a successful story, that we now need very fast more electricity nets, electric cars, battery factories, cobalt- and lithium-mines and powercharger. But the electricity is not getting cheaper, in contrariwise. But this over-action pushes the value of the share certificates of the rare metals. This is good for the speculators. And therefore they tell the people, that a bonus of 4.000 Euros for a new electric car is for the benefit of the nature. Rivers, seas, forest go down by this benefit of course. goes on the invoice of the environmentalists. Insects have to change their habitat and for this they use the wind, because this is more efficient. They fly in a height of 100m. But there are standing now for 15 years these propeller-windmills. And they do not only kill birds and bats directly but also insects. Furthermore there are 20 to 30km long wakes behind the propeller-windmills and in this wakes insects cannot fly because of the wake turbulence. Not only airplanes cannot start and land when there is wake turbulence (because of the airplane before), butterflies also. In the chaotic airflow in the wake the direction and pressure of the wind changes very often. The beetles die by exhaustion. And with the insects (about 75% the insect population has sunk) the songbirds die, too for ridiculous 2% gross energy. The queen bee leaves one time in life the beehive for the nuptial flight. This flight can only happen at a special weather and winds. It is clear that not only state building insects have a nuptial flight, even when we do not know anything about the nuptial flight of moths and beetles. A beetle has not its alae to crawl a whole tree for the search of a partner, so the beetle meets the other beetles in a height of e.g. 100m at a fair wind. Because insects are very light it is no problem for them to reach a height of 100m. If the 30.000 propeller windmills disappear in Germany the insect population will rise again soon but not of the died out species. They are away for ever. 1992 Germany signed a contract of the UN to protect the insects. Insects also eat insects. And not all insects are flying insects. Therefore there will be a changing of the sensitive balance in nature. So it is possible that an unknown population of lice arise and eats all leaves of the trees in Germany. On the page Insect-Dying in the category "Others" there is more information about the insect-dying. 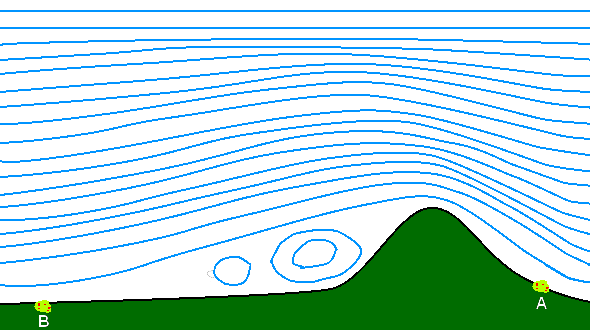 In the picture above the wind hits from right on a hill as a natural barrier. This delivers little whirls. At A there is a seabuckthorn-bush. In the bush is a beetle that is specialized for seabuckthorn. Because there are hardly lice in it the beetle must search for another seabuckthorn-bush. At B there is one. To reach it the beetle uses the wind. It lets itself carry by the wind, scents it and flies toward the bush exactly. Now greenwashing capitalists ordered a propeller on the hill because there is so nice wind. Due to the high velicity of over 100km/h the propeller produces a giant wake of some dozen kilometers length, that lays down on earth like a "V". For our little beetle it is now impossible to scent the seabuckthorn-bush at B and reach it. His sensitive alas break. The infra-sound is a noise that has a too low or high frequency to be heard by humans. At propeller-windmills this sound occures in 100m height and can spread very well. Now friends of the green-electricity-tax are not getting tired of warning against atomic trash and CO2 but they play down the infra-sound as fiddle-faddle. Perhaps that is true for humans. But the interaction with insects is still unknown. It is only logic that little insects use high frequencies. 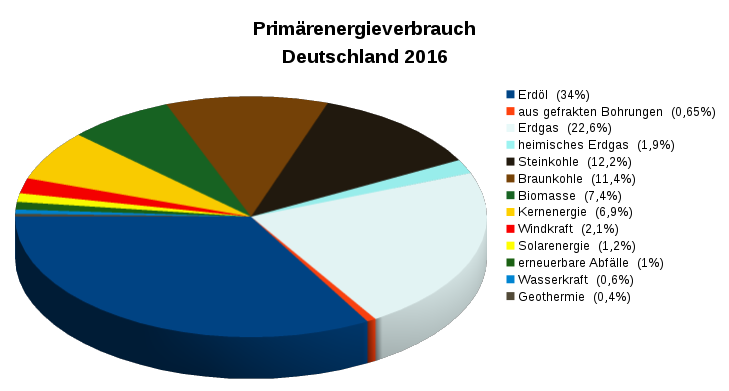 The red wedge left is the propeller windenergy in Germany in the year 2016. The 2% are gross and not net. 150.000 people are working for this 2% around the clock. If you take 300.000 people you will only get 3% because of the growth-saturation (mentioned above). A thick pullover in the winter and to sleep one hour more would have a better effect. Earners due to the propeller windenergy are the owners of the land many of them are "anthroposophic". 2001 started the green-red government with the propellers, the curvature rised very strongly. There were many articles in the newspapers about the windenergy-heros. Shortly before 2021 the curvature snaps at a level of 2,3%. Then it will rise hardly because the old windmills must be replaced and there are hardly places for new windmills with a sleek flow of the wind. The limit will be at 2,5% gross. Gross and not net because in this 2,5% is not calculated the efford of energy you need to build and dismantle the propellers. Last but not least: the Soltuuli company took part at about 16 energy innovation contests but did not gain one single price. Here you can see the "awards": click here!